What is a British manufacturing company today? A chartered engineer, David Falzani is president of Sainsbury Management Fellows which was founded over 25 years ago by Lord Sainsbury to encourage better management skills in UK engineering. David is also chief executive of Polaris Associates which helps entrepreneurial companies develop and grow as well as a visiting professor at Nottingham University Business School where he teaches how to bring technology, innovation and entrepreneurialism together to create successful businesses. In developing manufacturing strategy it’s sometimes useful to ask the simplest questions. But these can be the hardest to answer. For example, The Sainsbury Management Fellowship scheme awards bursaries to bright young engineers to study MBAs at the top 14 international business schools in the world. The idea is that the exposure to some of the best international teaching environments on the planet will enable them to return to the UK and increase the competitiveness of the UK economy. Compared to other countries, we don’t have enough engineers, and in general, people who know how to get things made, running our UK companies. Initially the scheme was for UK engineers only. However today, the definition of what is British has become blurred by membership of the EU, the globalised economy, and by what decisions an individual might make in the future. Someone might not be born here, but they might work here and add as much value as anyone else to the economy. And whilst a Brit may go, or be sent, overseas and never come back, if they are working for a British company there then that should still be OK shouldn’t it? How about if the company is not British but has substantial UK operations? So the logic trail leads to 2 important strategic questions: What defines a company as “British”? And, perhaps more importantly, does it actually matter anyway? ”What defines a company as “British”? And, perhaps more importantly, does it actually matter anyway? Let’s perhaps start with asking what is a company? My old law professor Annuziata used to say a company is a collection of contracts. That’s possibly less than useful, even if accurate. Of course at the heart of every organisation is a constitution that sets out the rules governing how the company can interact with the outside world and organise itself internally with its governance. Those rules will be written in the law of a particular jurisdiction. In the UK, the most common form for companies is written in the laws of England and Wales. That could be one definition. How about the factory address? But many organisations manufacture overseas. Or how about where the bulk of the employees are based? Another definition might be who owns it. 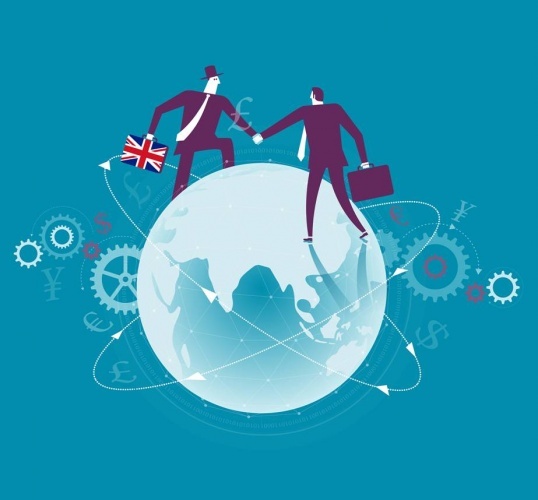 A company may be founded and operate in the UK but what if it has an overseas owner? We’ve seen billions of pounds of “investment” in the UK over the last 20 years, where overseas investors from countries such as Spain and China have either taken majority stakes or have outright purchased UK organisations. I was only slightly surprised to learn last year that my regional UK electricity network supplier is 100% owned by a Chinese company. We’re getting closer to a working definition. I believe the most useful definition of a company’s nationality, even in today’s global economy, lies in the question of where the reinvestment decisions are being made and who usually profits from that decision. By reinvestment I mean either putting the money back into the company somewhere, or alternately deciding to release it to the owners or shareholders as dividends. A bit of accounting theory is useful here. A revenue centre is defined as an entity that is managed to maximise revenues. Cost centres are managed to minimise cost, profit centres to maximise profit by raising revenues and/or reduce costs. However, investment centres are longer term, looking at long term ramifications of decisions made today in order to follow long term opportunities, as required. You can probably see where I’m heading. The important point here is all about R&D. If the reinvestment decision is made in a way to benefit the UK in the long term, then for me, that makes it a primarily UK organisation. However, if the decision is made by, or to benefit, overseas territories then it’s no longer a UK organisation. The risk here is that, perhaps to support our balance of payments deficit, companies in the UK are bought by overseas owners who then see them as cash cows and profit centres to be ‘milked’, rather than investment centres for long term commitment. We’ve seen disappointments with the take over of companies such as Cadburys, but we’ve also seen the magnificent resurgence of Rolls Royce and Bentley, so overseas investment can work. The UK routinely outpunches its weight in R&D (see graph in last month’s blog). That’s why I think it’s important we have some criteria to define what a company’s country is today. We can then apply the criteria when we welcome outside investment to ensure it supports our long term needs for a better future for all. Value added or simply profit added?-the first perhaps the best definition of an industry? manipulating man’s laws or Natures? Please advise me how any of the following are ‘industries’? In my estimation, most of the above have and will simply add(ed) year-on-year to the £1.6 trillion national? debt. Noting Mike’s views again, It would be interesting to see how he would have got on without the teachers and lecturers in his basic and tertiary education, and throughout his working life without the “value added” by those. Similarly, how he would live in a modern “Civilised” life without the Civil servants who ensured that the said education received the funds required to pay those involved in educating him and keeping the school running and the children fed and warm, kept his family solvent when his parent’s employers couldn’t. Along with paying the police and lawyers that kept him safe whilst it was happening and ensured that when he bought his first house it wasn’t scheduled for demolition in the following 6 months, and when he sold it ensured he got the best market price. Those who lent him the money to allow him to buy the car that he drove to that work that allowed him to engage in the employment that allowed him to buy or rent a home and organised the health service that looked after his pregnant spouse and sickly children, and ensured when he had an accident in the car that it was replaced and the injury that caused his time off work was cured and compensated. That made it possible that his employers were able to replace capital machinery and ensured that the profits generated were recorded so that the taxes that paid for the roads that he used could be legally and properly applied. And even the poor old politicians that walked the tightrope between the stagflation of the 70’s and booms of the 00’s to maintain and improve the culture and lifestyle that he grew up with. I agree a lot of those things do not “Add Value” in a direct and “Accountable” sense, but they all “Add Value” and are necessary to ensure that the world runs. Even those people that he likes to deride with the Gold Braid on their hats are required to ensure that we can continue to run our bit of the world in the way that we want, for right or wrong. Yes we all moan about taxes, red tape, and nonsense rules but in the end we all benefit from most of them and some of them do cause problems but those are usually eliminated as being unreasonable, unworkable or obsolete. (Seen any modern buildings with windows bricked up to save tax? any London cabs with hay sticking out of the boot, any young men shooting butts on the village green recently?) Yes some politicians are corrupt, some teachers inept, some nurses careless, some civil servants venal, some accountants criminal, some police brutal, some soldiers cowardly. I might add that some engineers are unimaginative. Most are there because they have an aptitude for what they do, some are motivated to work because they need to and buy their lottery ticket every week, some because they actually enjoy the tasks they do, (Even the accountants and the dreaded politicians). I like your anecdotes Mike, but of late you have got too much into the character assassination game on Bankers Lawyers and Accountants. We might not like them all, we do need them. Route out the bad eggs but don’t continually tar every one with the same brush, it makes you sound like a poor alternative comedian of the 1980’s.